Close the blinds, dim the lights, and start your presentation or video conference - without leaving your seat. 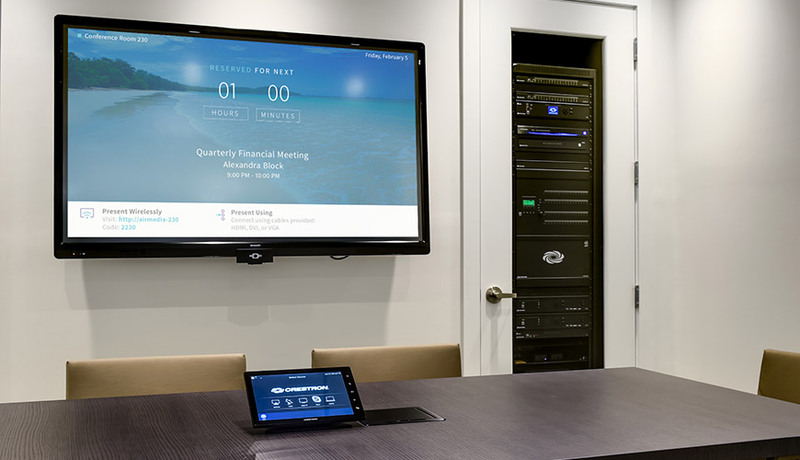 You control it all with a touch panel, remote, or even an Apple® iPhone® or iPod touch® and Kozi Media Design provides Polycom products and solutions. Use a wired or wireless microphone so the people in the back of the room can hear you just as well as those in the front. Use the room's video conferencing camera to record your meeting to CD or DVD for review or training purposes. Room too warm? Adjust the thermostat to your liking from the same control device. Kozi Media Design's integrated solutions make the technology intuitive and easy to use. We take care of the business of automation and control, freeing you to get right down to your business. To learn more, call Kozi Media Design at 1-877-746-5694 or send us an e-mail.